BioCision BCS-528 BioT Refrigerated Sample Carrier Cooler Laboratory Science . New Life Scientific, Inc. 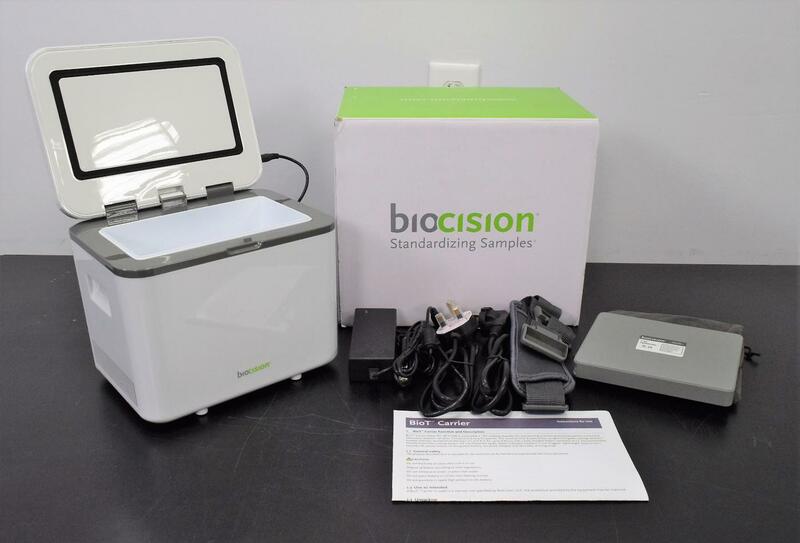 The BioCision BioT sample carrier contains everything you need to transport your chilled samples, including internationally-compatible power cables and a car adapter for longer distances. BioT Carrier is a portable 2-8°C cooling solution for transporting small batches of temperature-sensitive laboratory research samples. Maintain and transport cold samples with confidence. Easily adjust the cooling temperature set point to raise or lower the chamber temperature to best suit your application. Carry cold samples between facilities, from clinic to lab, or over longer distances utilizing the car power adapter. Support for Instrument Longevity - In addition to our 90-day warranty, we offer you continued support from our technicians, including technical questions and consulting. We may be able to offer exchange or back-up.